I guess the most popular product of rhubarb is Jam. Rhubarb is easy to break down when it is cooked, has very unique flavor, and very tasty! 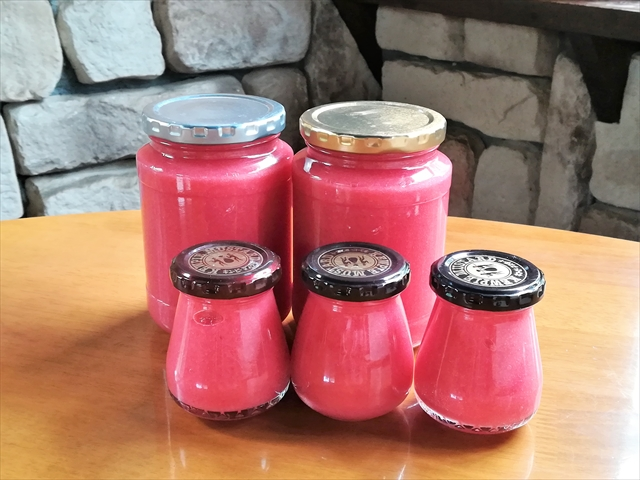 We offer home-made rhubarb jam with home-made yogurt as a desert only during the season we can harvest rhubarb in our farm. Yesterday, I finished second harvesting our rhubarb, and I made them into jam right away. Look! How pretty the color of the jam! Deep pink like rose　（picture ①）. To tell you the truth, I made this jam from normal green rhubarb with red sheath. I cut out the red sheath ( picture ②) and used only these parts for the jam. The sheath is hidden in the soil before being harvested, and it doesn’t contain chlorophyll, green pigment, at all. Instead, it contains red pigment, anthocyanin, which makes the ham rose pink. 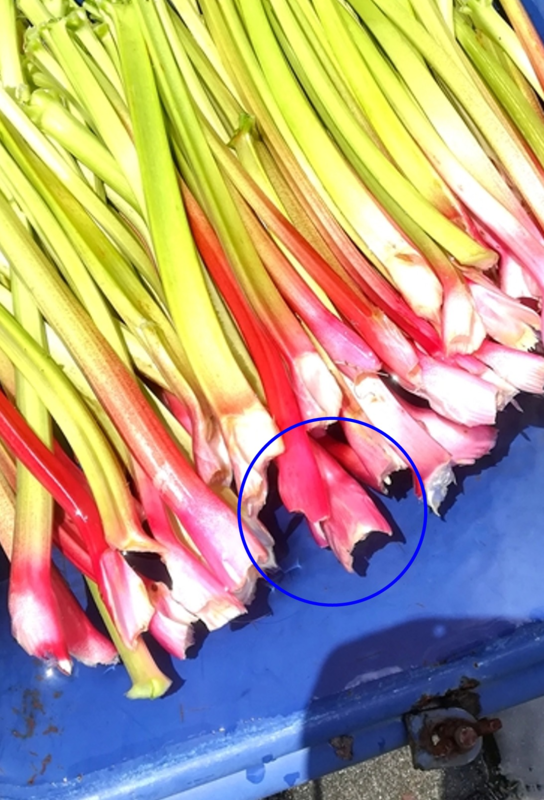 Generally, sheath is cut out and thrown away when rhubarb is sold, so this jam can be said to be very rare, only the rhubarb farmers can enjoy. This time, I got only 800g sheath out of 5 kg rhubarb. 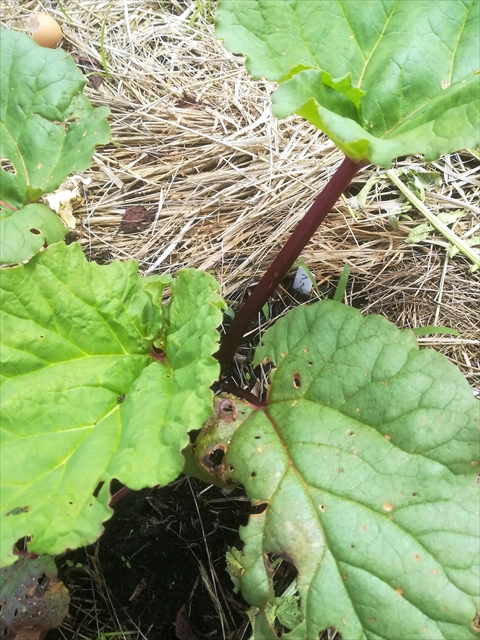 This is the picture of rhubarb I am now growing. This kind of rhubarb is called “Crimson” . It really has the color of crimson red…. Very beautiful against the sunlight. I will be able to harvest them in fall….if they grow without any trouble.